The educational market has been Apple Valley Communications bread and butter since Larry Cusack purchased the business in the early 1980s. He created relationships with local school districts and began servicing alarms, intercoms, and phone systems of many school districts. Since that time we have grown to be a strong force in the educational market. We offer the best in market solutions for fire alarm and detection, intrusion alarm and detection, school intercom and emergency communication, audio-visual, sound systems, card access/access control, surveillance cameras (now offering video alarm monitoring, call for details), voice/data/fiber optic cabling, and Voice Communication solutions. We offer solutions ranging from small secured campus entry points (with video and intercom) to large College Campus Mass Notification Solutions. All our solutions are best in class and award-winning. Our Intercom/Emergency Communication solution won “The Best New Emergency Communication System ” from SIA at the 2018 ISC West Expo. DMP is a family-owned manufacturer of electronic burglary, fire, and access products. Since 1975, They have designed, built, distributed, and supported those products from their headquarters in Springfield, Missouri. They sell directly to preferred alarm companies who are passionate about providing life-safety and peace-of-mind. Our offering for fire alarm and detection can and will include design, coordination with Fire Marshall or AHJ, submittal of plans and design, installation, testing, inspection(with AHJ or annually as required by code), and annual service contracts.NOTIFIER by Honeywell is a product that is top of class in terms of technology, reliability, history, and name recognition. We are proud to call ourselves a NOTIFIER Premier Engineered Systems Dealer. We have met NOTIFIER’s stringent criteria of capability and business performance. We carry all required industry certifications, advanced technical training, end-user support, industry engagement, and proven business strength.We also can offer when needed to support our customers, design, service, installation, programming, service, monitoring and testing of other fire alarm manufacturers such as but not limited to Silent Knight, Fire Lite, Honeywell, Bosch, DMP, Pyrotronics, Siemens, Simplex, Faraday, EST, etc.Our Fire Alarm Testing and Inspection team uses software that will provide clean professional documentation that can be provided to your local fire marshall when it requested. Our completed test forms can be sent out within 24 hours of completing an inspection. These documents can be in electronic format so they can be easily shared while leaving a hard copy at the control panel in our document enclosure(required by code) with a USB thumb drive. We are partnered with NEC for our voice communication solution offering. NEC offers a flexible voice solution that is not limited to just a VOIP solution. When needed Apple Valley Communication and NEC can provide a hybrid, digital, VOIP, Cloud, Premise-Based VOIP solution with SIP Trunking, analog trunking, PRI, SIP. With NEC we can offer 1, 3, 5 year software assurance packages but do not require our customer to be under contract to continue to support like competitors. NEC has a history of supporting customers long duration (ie 20 years) before discontinuing a product and offer great incentives to stay with NEC once a product line is no longer a viable solution. You can look at some operations and see them upgrade phone systems every 5 to 7 years. Seems like a quick turn around with not a lot of return on investment. NEC can and will stand the test of time and when and if an upgrade may be needed, it may be possible to use some the investment our customers have already made to provide value and savings. We offer a number of paging and intercom solutions but Telecor is the product we lead with. Telecor has primarily been a school intercom solution from its inception back in the early 1980s. Created by Peter Jova, who was an integrator like us here at AV Com, he grew tired of the manufacturers that were available to him at the time and created Telecor. In the late 1980s Apple Valley Communications had the opportunity to become a Telecor Dealer and have not looked back since. Since that time we have installed Telecor’s 100 Series, XLs, T2s, T3s at K12 Schools, Government Facilities, Factories, and wineries. Audio, visual, textual, and with added modules can provide text messaging and screen pop-ups. With its untraditional infrastructure and feature-rich capabilities, there are very few facilities that would not benefit from having Telecor eSeries and Apple Valley Communications provide this Paging/ Intercom/ Emergency Communication Solution. We also offer Paging system that can be stand-alone with a dedicated microphone and music sources or interface with your voice communication solution. With state labor laws becoming more stringent we offer timed solutions to notify workforce when it is time to start shift, take break, return from break, as well as ring the 5PM whistle at the end of shift. Please contact my sales staff if you have a paging system inquiry or if you have an idea that may seem out of the ordinary and see if Apple Valley Communications can create a custom solution to fit your needs. Does your business have more keys issued than you can keep track of? We you able to get keys back from former employee? Have you had to re-key your facility because you lost your master key? Do you want to know what time your staff is showing up and leaving work? Access Control is a great way to solve most if not all these problems and the solution is totally scaleable based on your needs. From a 1 to 2 solution to full integration with your intrusion alarm and camera system we have a solution for you. Solution can be managed by you, your manager, security manager or by Apple Valley Communications with a as needed basis or a service contract/manager solution. We offer integrated intrusion alarm and access control. The great thing about this solution is that users can be managed via smart device app. For instance, HR hires a new member of your clerical staff, a manager with appropriate credential would be able to add the new user and issue a new key fob using a smartphone app. We have a number of different product lines that provide a lot of flexibility to meet a specific customer’s needs. We have typically used Hirsch for federal government solution. Hirsch has the ability to provide a card and pin number to help insure a user is who they are supposed to be and not sharing another users card. Technology can be prox, pin prox, prox and bio-metric as needed. We have Kantech, RS2 Technology. These product have there own niche but typically would be our solution for a state, local government, school district customer. We use Honeywell, DMP, Bosch for our commercial local business customers. Each manufacturer has specific characteristic that would help us determine which product would be the best fit your our customer. 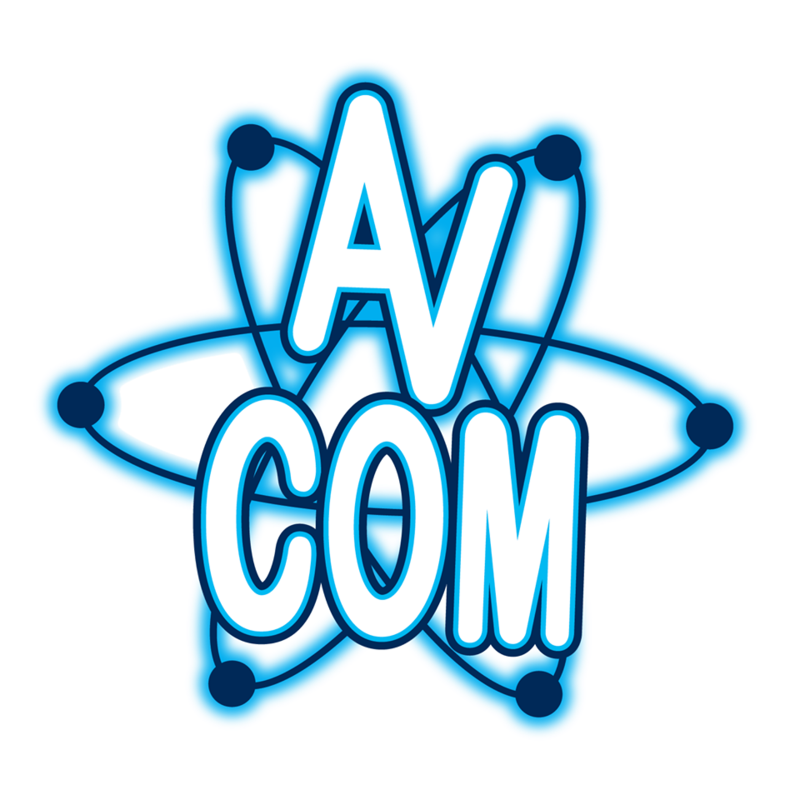 From your basic classroom/training room application, home theater, lecture hall, counsel chamber, board rooms, to elaborate remote web training program Apple Valley Communications has a Audio/Visual Solution to meet your needs. We are partnered with Extron and have trained designer, technicians, and executives. We engineered and installed A/V Systems in theaters with tie-lines, production intercom, assisted listening, wireless microphones, large projection screen with projector and stadium style speaker technology. Our sales staff, designers, and installers have a passion for A/V that evident when working with and then seeing the finished product. Apple Valley Communications provides network cabling for a number of different solutions one might use in today’s technological environment. We offer network cabling that would include voice, data, surveillance, wireless access, media displays, intercom, lighting/lighting control, etc. These technologies will use copper and/or fiber optic cabling. We offer both and in most instances our cable installation will come with a 15, 20, 25 to lifetime warranty depending on which technology or cabling program our customer chooses to go with. We offer solution like Belden, Berk-Tek Leviton, Commscope-Uniprise which all typically offer a 25 year warranty. We typically use Corning for our fiber optic cabling solution. Corning has a 20 year warranty but because of its availability and vast catalogue of Fiber Optic Cabling solution it has been our FO product of choice. All our cable installation are installed by manufacturer trained technicians and tested to the most stringent requirements. Our customers have confidence knowing if there is an issue with data traffic it is not likely the cable. We have BICSI certified installers and RCDD/OSP on staff. Apple Valley Communications offer a number of different surveillance system solutions. We offer residential, commercial small, medium, large business, campus, parking lots, parks, analog, hybrid, IP or what ever meets our customers needs. Analog is old technology but in the event the customer is trying to add new while keeping some analog location up and working, we can offer a hybrid solution. We offer system that can be remote viewed from smart device and notify customer of motion in a cameras field of view. Solutions can be from 1 camera to 260 based on our customer needs. We offer products that have stood the test of time including Pelco, Bosch, Axis, Sony, Samsung, etc. We are very excited about new partnerships with Avigilon, IndigoVision and Milestone. These products are all feature rich with the latest technology.